On the Edge of Your Seats? I Love Hello Sunshine Head to Toes!! We are hoping to have the Design team figured out by Monday of next week, but while we wait I thought we would take a break....... a potty break! A while back I blogged about my dear Jack who refused everything to do with the potty. Lots of you faithful blog readers gave me great tips and advice and I am happy to report that Jack is now fully potty trained!! How did we do this? Funny you should ask. As I said before, I had tried everything to "incentivize" that child: treats, sticker charts, toys, bribes. Lindsay (his hero) had even promised to take him on a lunch date if he used the potty. None of this worked. But what did work was simple. I got a treat jar. I told all the kids (I have four you know) that whenever they used the bathroom they could get a treat from the jar. At first Jack was unphased. It wasn't too hard for him to watch Ethan and Kate get a treat. But when his sister Abby (sibling closest to his age, and his biggest rival for attention) was getting candy and he wasn't it became too much for him. He was on the potty by early afternoon. The candy ran out and we haven't needed to replace it. He is now repulsed by the idea of wearing a diaper! Sometimes I submit our work to a potential buyer to have them say that they don't think it's right for them. Then I see what they choose to bring into their stores and I think to myself, "What were they thinking?!?" The problem with art is that it's completely subjective! Here's what we were thinking when we choose the top 12. We loved her clean, simple, editorial style. The design is really strong, with nice photos and we like how she handles her typography. Again, a nice, editorial style and we love that her layouts feature teenagers. I know that might seem unfair, and it's not nearly the only reason we like her, but even something that simple, can make you different and make your work stand out. 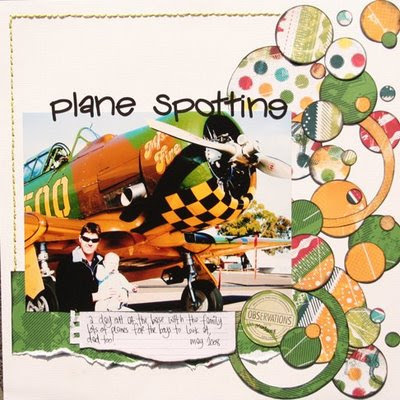 You'll notice Leah is more crafty in her style....... more what I tend to think of as traditional scrapbooking. 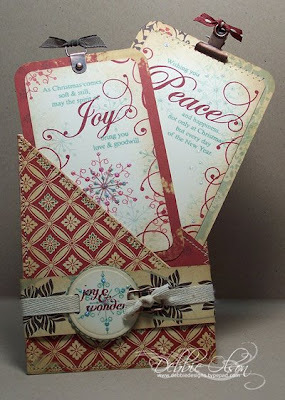 The design and photos are lovely and she has some really creative ideas on her blog. 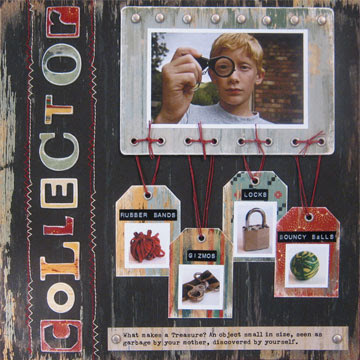 Natasja is very artsy using found objects like cardboard and creating a very collag-ey feel. We think she could appeal to younger artists. 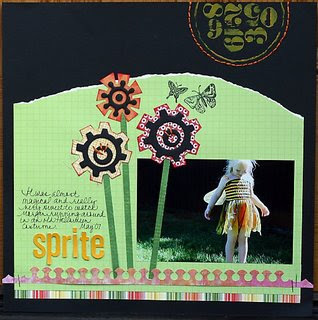 Anthea just has this fun, carefree feel to her layouts. They seem very fresh. I have to confess, I have been following Davinie for quite some time. My favorite thing about her is that she seems to really push herself and I see her getting better all the time. 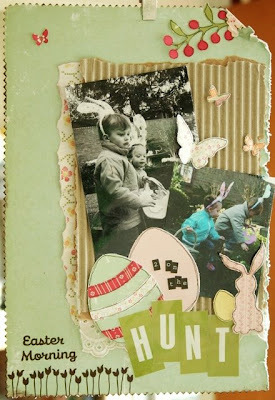 Debbie Olson is a card making master! She has a very classic style and everything she does is amazing. Yukari's style is similar to Anthea's. 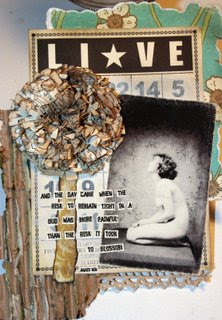 We like the carefree feel and a bit of collage-iness. Danielle seems to be the "artsiest" of everyone that applied. We love this piece! Laura has awesome photography skills! This is my favorite of her layouts, even though it doesn't have any Cosmo Cricket on it. I love the placement of the heart! I am a sucker for little unexpected details. Katja is artsy and creative. I love her newspaper flowers! She shows how to make them on her blog. I thought they would be great made out of yellow pages too. 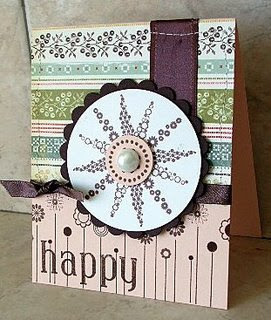 Maren is another fabulous card maker! We think she's amazingly talented. Can I just say that I was a bit worried about this whole design team process, but you ladies have handled yourselves beautifully. I am impressed by your excitement for the twelve even though they have something that you wanted for yourself. It really says a lot about you! 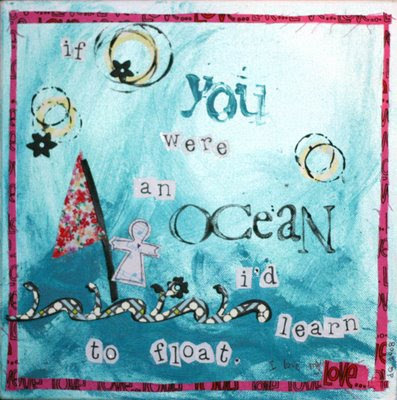 Having lived in the art world all my life, I know all about having my dreams squashed. I have experienced a lot of criticism, rejection and not making the cut. Here's one recent experience that you might relate to. Just before WCHA07 (our first winter show as a company) an editor from Creating Keepsakes called me and asked if I could do a project with our soon-to-be-released Buck Naked Lacing Cards. The deadline was tight, she had called at 4:00 in the afternoon and needed the project the next morning, so there wasn't time to get any product to a designer. I created the following project. Scanned it and emailed it to her the next morning. By afternoon I hadn't heard back. So, I called. She said to me that the project just "wasn't exactly what they had in mind." I asked, "What did you have in mind," thinking I had misunderstood the assignment. She said, "We just need something really hip and cool." We had such a hard time narrowing things down and we wish we could have picked everyone....... blah, blah, blah.......... yaddah, yaddah, yaddah....... Ok, I know that consolations are never that consoling. So instead, how about a $5 gift certificate to misspaperjane.com for everyone that applied? True, it's not what most of you were hoping for. But we are sincerely thankful to all the effort and talent shown by so many that we wanted to do something nice for everyone! For the top 20, we'll have a special gift. But, those details can wait until tomorrow. Here are the names of the................ I would say lucky, but I think ambitious, hardworking, persevering or extremely talented would fit better.............. ladies. We'll be getting in touch with you! Yes, the information you are awaiting is coming. But, I won't be in the office until the afternoon. I really have to get some final opinions from Lindsay, Eric, Lynette and Jody before I can make up my mind. Hang in there. We won't keep you waiting too long. Well, probably not.......... there is some evil spot deep down inside me that enjoys this just a tiny bit. We have had soooooo many applicants for the design team. Today we are going to narrow down the applicants to around 12. Tomorrow we will let these talented ladies know who they are. We will interview them and have them complete an assignment for us. Then, we will pick the team members. We are so happy with the response and honored that so many want to work with us! We have been flooded with Design Team applications (thanks Jon) and already I can tell it's going to be a tough choice. There has been some fabulous work shown! If you haven't applied already, you have until Saturday to submit a link to your blog. I have been asked by several hopefuls if we are considering international applicants and the answer is YES. Although, being completely honest internationals are at a slight disadvantage since we need to consider the time it takes to get them product to work with. But, even at that, if the design is AWESOME we might have a spot for you. On a completely different subject, the sun has finally found its way as far north as I am. So, we are slathering on the sun screen, filling up the wading pool and eating ice cream cones. I think I see a photo opportunity!! PS: The design team information is in the previous post (thanks to Jon) in case you're looking for it. I will admit that I am not an amazing scrapbooker. Most of my layouts are average to mediocre. But, once in a while, I get lucky. I love this layout. Don't Jack's baby toes look so cute! I have to thank Tami Comstock for that photo. In case you were wondering, the blackboard flowers came from the Honey Pie Blackboard shapes. The letters for "head to" are from the Get Happy shapes and "Toes" is from the Vintage Mix alphabet. 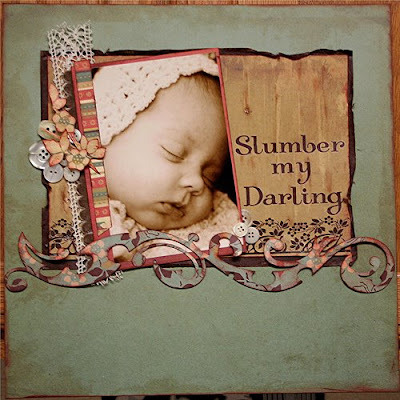 All the journaling and titling cards are from the Hello Sunshine paper pad along with the photo mat which I cut off the original border and added one from another page. The Get Happy ribbon works great with this line, so I used it through the Buck Naked chipboard heart that I covered with the matching die cut. Put all that on the backside of Hula Hoop and you're done. 1. People who design really well. 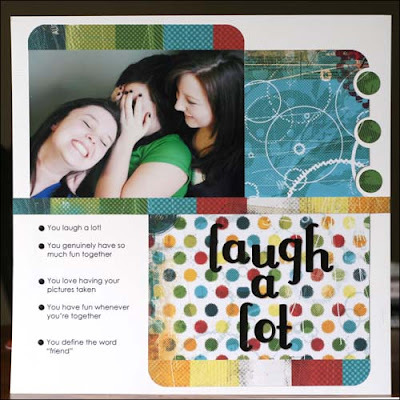 One or two members for layouts, cards and projects. 2. People who love posting (this one was starred), maintain blogs (this one was underlined) and are connected with the online scrapping community. 3. People who love submitting. 4. People who are easy to work with, low maintenance and happy. 5. People who love Cosmo Cricket and know how to show it. 6. People who are available to focus on Cosmo Cricket (I don't think she expects exclusivity, but just so you're not spread too thin). If it were me, I would be posting all my Cosmo work to my blog and sending the link to jodi@cosmocricket.com along with a resume. I would do this before June 21.